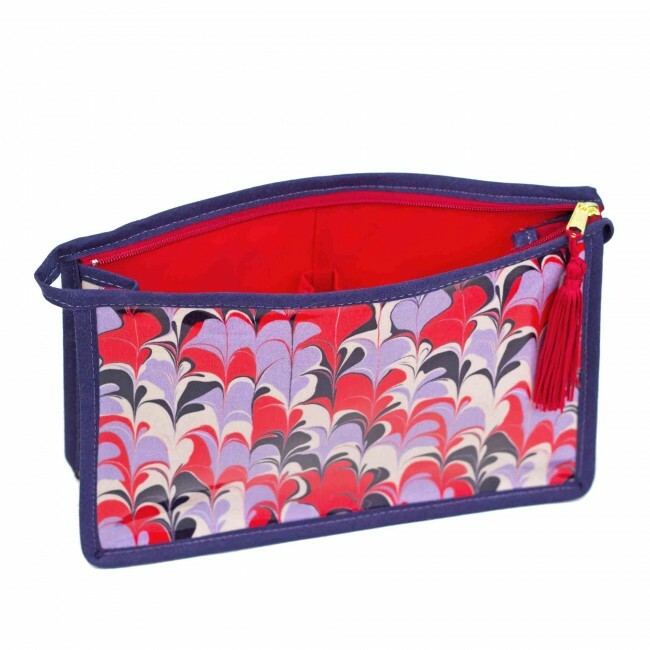 A striking and original oil cloth wash bag. Hand marbled and designed from the much sort after Whitehorn label. 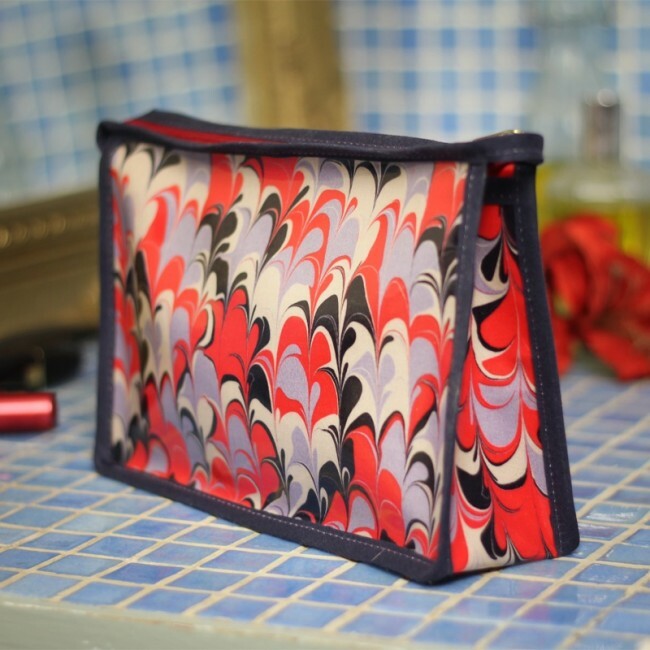 This is the perfect gift for anyone who loves to travel in style or wants to add a bit of chic to their bathroom. The design is created using rakes and styluses in the traditional marbling method. This product is entirely British made. The Bergen marbled oil cloth wash bag is scarlet, dark navy, grey and stone in colours. 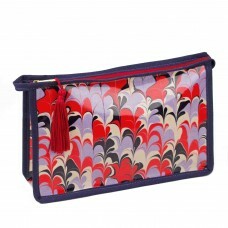 It has navy trim, a scarlet zip and a scarlet tassel on the zip. Inside there is red waterproof lining and has two pockets. This product is also available in the Amalfi and Huron design on the Whitehorn storefront. 100% cotton with water resistant polyester lining.